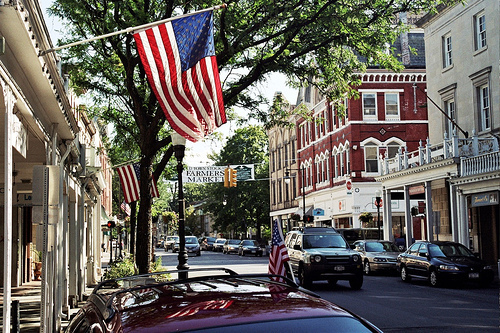 Many of our Dutch ancestors lived in Ulster County, New York in and around what is now Kingston. In 1659 and 1663 they engaged in two conflicts with the local Esopus Indians. The first Esopus War was caused by an act of Dutch cruelty and murder. While New Netherlands had many fewer colonists than New England in many ways Dutch relations with the Native Americans was worse than did the English. One of our ancestor’s kidnapped sons decided to remain among the Indians with his new Indian wife and child. Since the Lenape had a matrilineal culture, a Pocahontas in reverse story makes sense. Overall, though, it’s a sad story, I’ll let the narrative speak for itself. In the hope of making a treaty with the Esopus, Dutch emissaries contacted the tribe on June 5, 1663, and requested a meeting. The natives replied that it was their custom to conduct peace talks unarmed and in the open, so the gates of Wiltwijck were kept open. The natives arrived on June 7 in great numbers, many claiming to be selling produce, thereby infiltrating deep into the town as scouts. By the time word arrived that Esopus warriors had completely destroyed the neighboring village of Nieu Dorp (modern day Hurley), the scouts were in place around the town and began their own attack. Well-armed and spread out, they took the Dutch by surprise and soon controlled much of the town, setting fire to houses and kidnapping women before they were driven out by a mob of settlers. The attackers escaped, and the Dutch repaired their fortifications. 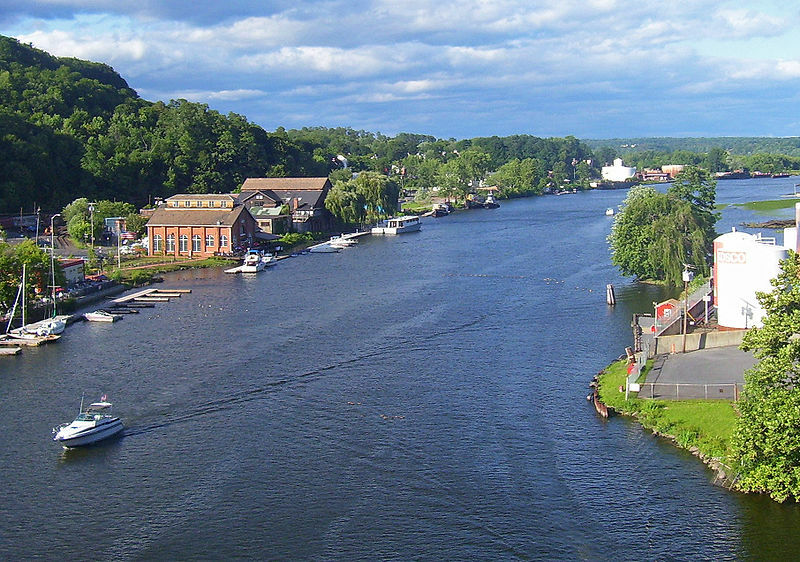 On June 16, Dutch soldiers’ transporting ammunition to the town were attacked on their way from Rondout Creek. The Esopus were again repelled. Throughout July, Dutch forces reconnoitered the Esopus Kill. Unable to distinguish one tribe from another, they captured some traders from the Wappinger tribe, one of whom agreed to help the Dutch. He gave them information about various native forces and served as a guide in the field. In spite of his help, the Dutch were unable to make solid contact with the Esopus, who used guerilla tactics and could disappear easily into the woods. After several unproductive skirmishes, the Dutch managed to gain the help of the Mohawk, who served as guides, interpreters, and soldiers. By the end of July, the Dutch had received sufficient reinforcements to march for the Esopus stronghold in the mountains to the north. However, their ponderous equipment made progress slow, and the terrain was difficult. Realizing their disadvantage, rather than attacking the Esopus force, they burned the surrounding fields in the hope of starving them out. For the next month, scouting parties went out to set fire to the Esopus fields, but found little other combat. In early September, another Dutch force tried to engage the Esopus on their territory, this time successfully. The battle ended with the death of the Esopus chief, Papequanaehen, as well as several other men, women, and children. The natives fled, and the Dutch, led by Captain Martin Cregier, pillaged their fort before retreating, taking supplies and prisoners. This effectively ended the war, although the peace was uneasy. Page 1 of the treaty between the British and the Esopus Indians. This page forbids hostility between the two groups, including harming livestock and buildings, and sets forth equal punishment for murder by both Europeans (“Christians”) and Natives (“Indyans”). 7 Jun 1663 – A band of two hundred Indians entered Wiltwyck and New Diep (now Kingston and Hurley) in the morning, from different points, and dispersed themselves among the dwellings in a friendly manner, having with them a little maize and a few beans; under pretense of selling these they went about from place to place to discover the strength of the men. After they had been in Kingston about a quarter of an hour, some people on horseback rushed through the mill-gate crying out-’ “The Indians have destroyed the New Village!” And with these words the Indians immediately fired their guns, and made a general attack on the village from the rear, hewing down the whites with their axes and tomahawks. They seized what women and children they could and carried them prisoners outside the gates, plundered the houses, and set the village on fire to windward, it blowing at the time from the south. The remaining Indians commanded all the streets, firing from the corner houses which they occupied, and through the curtains outside along the highways, so that some of the inhabitants while on their way to their houses to get their arms were wounded and slain. When the flames had reached their height the wind veered to the west, otherwise the flames would have been much more destructive. The attack was so rapid that those in different parts of the village were not aware of what was transpiring until they happened to meet the wounded in the streets. Few of the men were in the village, the rest being abroad at their field labors. Capt. Thomas Chambers, who was wounded on coming in from the fields, issued immediate orders to secure the gates, to clear the gun and drive off the Indians, which was accordingly done. After the few men in the village had been collected, and by degrees others arriving from different quarters, being attracted by the columns of smoke and the firing, they mustered in the evening sixty-nine efficient men. The burnt palisades were immediately replaced with new ones, and the people distributed, during the night, along the bastions and curtains to keep watch. In this attack on the two villages fifteen men, four women and two children were killed. Most of the women and children killed were burned to death. Of the prisoners taken by the Indians at this outbreak there were thirteen women, thirty children, and one man. 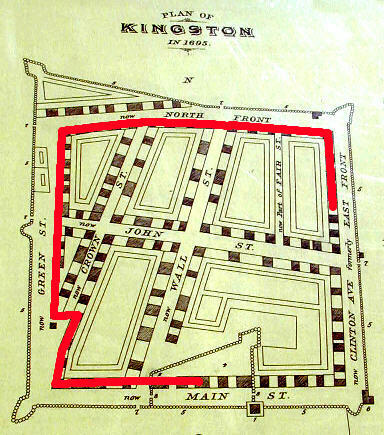 At Kingston twelve houses were burned, while the New Village was entirely destroyed. Soldiers including PEER Jan Hendricks were now sent up from New York, and the Indians were hunted from mountain to mountain. The rescued children included Tjerck Claessen en de Witt’s oldest daughter. (Mathijs Jansen Van KEULEN’s future daughter-in-law) Peer Jan Hendrick married Mathijs’ daughter Annetje. Peer was a Sargent in the Dutch West India Company’s troops sent to Esopus Jun 1663 under Capt. Martin Krieger in Colonel Cragier’s regiment. He took part in the rescue of the women and children captured in the Esopus raid on Wiltwyck (Kingston), June, 1663. Two months after the raid, the Indians were engaged at the Esopus and the captives freed, including Tjaatje and Jannetje DeWitt, and Jannaken Van Vliet. Tjaatje Dewitt would be Peer’s future sister-in-law by later marrying Matthys Matthyssen, Annetje’s brother and progenitor of the Van Keuren family. 7 Jun 1663 as Translated from the Original Dutch Manuscript and published in The Documentary History of the State of New York in 1849. A letter from the residents of Wiltwyck to the governing Council of New Netherland describing the June 7th, 1663 Indian attack on the village, listing all the dead and wounded residents, and pleading for aid and assistance. Right Honorable, most respected, wise, prudent and very discreet Lords. We, your Honors’ faithful subjects have to report, pursuant to the order of the Right Honorable Heer Director General, in the form of a Journal, that in obedience to his Honor’s order, received on the 30th of May last, we caused the Indian Sachems to be notified on the 5th of June, to be prepared to expect the arrival of the Right Honorable Heer Director General, to receive the promised presents, and to renew the peace. This notification was communicated to them through Capt. Thomas Chambers, to which they answered: If peace were to be renewed with them, the Honorable HeerDirector General should, with some unarmed persons, sit with them in the open field, without the gate, as it was their own custom to meet unarmed when renewing peace or in other negotiations. And with these words, the Indians here in this Village immediately fired a shot and made a general attack on our village from the rear, murdering our people in their houses with their axes and tomahawks, and firing on them with guns and pistols; they seized whatever women and children they could catch and carried them prisoners outside the gates, plundered the houses and set the village on fire to windward, it blowing at the time from the south. The remaining Indians commanded all the streets, firing from the corner houses which they occupied and through the curtains outside along the highways, so that some of our Inhabitants, on their way to their houses to get their arms, were wounded and slain. When the flames were at their height the wind changed to the west, were it not for which the fire would have been much more destructive. So rapidly and silently did Murder do his work that those in different parts of the village were not aware of it until those who had been wounded happened to meet each other, in which way the most of the others also had warning. The greater portion of our men were abroad at their field labors, and but few in the village. Near the mill gate were Albert Gysbertsen with two servants, and Tjerck Claesen de Wit; at the Sheriff’s, himself with two carpenters, two clerks and one thresher; at Cornelius Barentsen Sleght’s, himself and his son; at the Domine’s, himself and two carpenters and one laboring man; at the guard house, a few soldiers; at the gate towards the river, Henderick Jochemsen and Jacob, the Brewer; but Hendrick Jochemsen was very severely wounded in his house by two shots at an early hour. By these aforesaid men, most of whom had neither guns nor side arms, were the Indians, through God’s mercy, chased and put to flight on the alarm being given by the Sheriff. Capt. Thomas Chambers [husband ofMargriet HENDRICKSE] was wounded on coming in from without, issued immediate orders (with the Sheriff and Commissaries) to secure the gates; to clear the gun and to drive out the Savages, who were still about half an hour in the village aiming at their persons, which was accordingly done. The burning of the houses, the murder and carrying off of women and children is here omitted, as these have been already communicated to your Honors on the 10th June. After these few men had been collected against the Barbarians, by degrees the others arrived who, it has been stated, were abroad at their field labors, and we found ourselves when mustered in the evening, including those from the new village who took refuge amongst us, in number 69 efficient men, both qualified and unqualified. The burnt palisades were immediately replaced by new ones, and the people distributed, during the night, along the bastions and curtains to keep watch. On the 10th inst., 10 horseman were commanded to ride down to the Redoubt and to examine its condition. They returned with word that the soldiers at the Redoubt had not seen any Indians. They brought also with them the Sergeant, who had gone the preceding morning to the Redoubt, and as he heard on his return of the mischief committed by the Indians in the village, he went back to the Redoubt and staied there. In addition to the Sergeant they brought the men who had fled from the new village. On the 16th, towards evening, Sergeant Christiaen Niessen went with a troop of soldiers, sent us by your Honors, being 42 men, and three wagons, to the Redoubt, with letters for the Manhatans, addressed to your Honors, and to bring up ammunition from the Redoubt. On their return, the Indians made an attempt, at the first hill, to take the ammunition from these troops. The Sergeant, having divided his men into separate bodies, evinced great courage against the Indians, skirmishing with them from the first, to past the second hill, and defending the wagons so well that they arrived in safety in the village. He had, however, one killed and six wounded. The dead man was brought in next morning, having been stripped naked, and having had his right hand cut off by the Indians. Some of the Indians were also killed, but the number of these is not known. This skirmishing having been heard in the village, a reinforcement of horse and foot was immediately ordered out, but before they arrived the Indians had been put to flight by the above named Sergeant. This, Right Honorable Lords, is what we have deemed necessary to communicate to you in the form of a journal as to how and in what manner the Indians have acted towards us and we towards them in the preceding circumstances. And we humbly and respectfully request your Honors to be pleased to send us hither for the wounded by the earliest opportunity, some prunes and linen with some wine to strengthen them, and whatever else not obtainable here your Honors may think proper; also, carabines, cutlasses, and gun flints, and we request that the carabines may be Snaphaunce, as the peopIe here are but little conversant with the use of the arquebuse (vyer roer); also some spurs for the horsemen. In addition to this, also, some reinforcements in men inasmuch as harvest will commence in about 14 days from date. Herewith ending, we commend your Honors to God’s fatherly care and protection. Done, Wiltwyck this 20th June 1663. (rescued after about 3 months including our ancestor Cornelis Lambertsen BRINK). The new village is entirely destroyed except a new uncovered barn, one rick and a little stack of reed. Henderick Jochemsen, shot in his house. Albert Gerretsen, shot in front of his house. Andries Barents, shot in front of his house. Paulus the Noorman in the street. On the 26th of July a party of upwards of two hundred men, including forty-one Long Island Indians and seven negroes, left Kingston to attack the Indians at their fort about thirty miles distant, “mostly” in a southwest direction. They had as a guide a woman who had been a prisoner of the Indians, and took with them two pieces of cannon and two wagons. The cannon and wagons they were forced to abandon before reaching the fort. They intended to surprise the Indians, but found the fort untenanted except by a solitary squaw. The next day they sent a force to surprise the Indians on the mountain, but were unable to surprise any. For two days and a half the whole party then employed themselves in destroying the growing crops and old maize of the Indians, the latter of which was stored in pits. Over two hundred acres of corn, and more than one hundred pits of corn and beans, were rendered worthless by the invading forces. The natives witnessed these proceedings from their lookout stations on the Shawangunk and neighboring mountains, but made no resistance. Quinlan supposes this fort to have been on the headwaters of the Kerhonkson. It having rained all day the expedition must rest for the present. Asked the Sheriff and commissaries whether they could not get some horses to accompany us, so that we may be able to place the wounded on them if we should happen to have any. After great trouble obtained six horses, but received spiteful and insulting words from many of the inhabitants. One said, let those furnish horses who commenced the war. Another said, if they want anything they will have to take it by force. The third said he must first have his horse valued and have security for it. About one o’clock on the afternoon of the 3d we started from Fort Wiltwyck; marched about three miles to the creek and lay there that night, during which we had great rain. The next morning we found such high water and swift current in the kill that it was impossible to ford it. Sent men on horseback to Fort Wiltwyck for axes and rope to cross the creek. Crossed over about two o’clock in the afternoon and marched four miles further on, where we bivouacked for the night. Set out again at we discovered two squaws and a Dutch woman who had come from their new fort that morning to get corn. But as the creek lay between us and the corn-field, though we would fain have the women, we could not ford the stream without being discovered; we therefore turned in through the wood so as not to be seen. About two o’clock in the afternoon we arrived in sight of their fort, which we discovered situated on a lofty plain. Divided our force in two, and proceeded in this disposition along the kill so as not to be seen and in order to come right under the fort. But as it was somewhat level on the left of the fort, the soldiers were seen by a squaw who was piling wood there, who thereupon set up a terrible scream. This alarmed the Indians who were working upon the fort, so we instantly fell upon them. The Indians rushed through the fort towards their houses in order to secure their arms, and thus hastily picked up a few bows and arrows and some of their guns, but we were so close at their heels they were forced to leave some of them behind. We kept up a sharp fire on them and pursued them so closely that they leaped into the creek which ran in front of the lower part of their maize land. On reaching the opposite side of the kill they courageously returned our fire, so that we were obliged to send a party across to dislodge them. In this attack the Indians lost their chief, fourteen other warriors, four women and three children, whom we saw lying on this and on the other side of the creek; but probably many others were wounded. We also took thirteen of them prisoners, besides an old man who accompanied us about half an hour, but would go no farther. We took him aside and gave him his Last meat. We also recovered twenty-three Christian prisoners out of their hands. A captive Indian child died on the way, so that there remained eleven of them still our prisoners. We next reviewed our men and found we had three killed, and one more wounded than we had horses. We then held a council of war; after deliberation it was determined to let the maize stand for the present. We however plundered the houses, wherein was considerable booty, such as bear and deer skins, blankets, elk hides, besides other smaller articles, many of which we were obliged to leave behind us, for we could well have filled a sloop. We destroyed as much as we could; broke the kettles into pieces, took also twenty four guns, more than half of which we smashed, and threw the barrels here and there in the stream. We found also several horns and bags of powder, and thirty-one belts and some strings of wampum. We took the best of the booty along and resolved to set off. We placed the wounded on horses and had one carried in a blanket on poles by two soldiers in turns. The first day we marched two miles from the fort. The Christian prisoners informed us that they were removed every night into the woods, each night to a different place, through fear of the Dutch, and brought back in the morning; but on the day before we attacked them, a Mohawk visited them, who remained with them during the night. When about to convey the Christian captives again into the woods the Mohawk said to the Esopus Indians-” What, do you carry the Christian prisoners every night into the woods?” To which they answered “Yes.” Hereupon the Mohawk said, “Let them remain at liberty here, for you live so far in the woods that the Dutch will not come hither, for they cannot come so far without being discovered before they reach you.” So they kept the prisoners by them that night. The Mohawk departed in the morning, leaving a new blanket and two pieces of cloth, which fell to us as a booty. Early on the morning of the 6th we resumed our journey. The same day came just beyond the Esopus kill, where we remained that night. At this place the Indian child died, which we threw into the creek. Arrived at Wiltwyck about noon of the following day. On the 22d a detachment was sent out from Wiltwyck to guard some plowmen while they labored in the fields. About midnight the party passed along the kill where some maize lay, about two hours march from the village. On arriving there they found only a small patch of maize, as it had all been plucked by some straggling Indians or bears. Our people carried off what remained. The Indian prisoners whom we held had first informed us, to-day, that a small spot of corn had been planted there principally to supply food to stragglers who went to and fro to injure the Christians. Should they come again they’ll not find any food. About eleven o’clock on the following night, a party was sent about three miles in a northeasterly direction from Wiltwyck, having been informed there was some Indian maize at that place, to see if they could not remove it either by land or water. They returned about two o `clock in the afternoon of the next day and reported they had been on the Indians’ maize plantation, but saw no Indians, nor anything to indicate they had been there for a long time, for the maize had not been hoed, and therefore had not come to its full growth, and had been much injured by wild animals. One plantation however was good, having been hoed by the Indians, but that was likewise much injured by wild beasts. They said it was beautiful maize land, suitable for a number of bouweries, and for the immediate reception of the plow. On Sunday afternoon, September 30th, powder and ball were distributed to the soldiers and friendly Indians, in the proportion of one pound of powder, one pound of lead and three pounds of biscuit for each man, who was to accompany an expedition into the Indian country. On Monday marched from Wiltwyck with 108 men and 46 Marseping Indians. About two o’clock of the following day we came to the fort of the Esopus Indians that we had attacked on the 5th of September, and there found five large pits into which they had cast their dead. The wolves had rooted up and devoured some of them. Lower down on the kill were four other pits full of dead Indians and we found further on the bodies of three Indians, with a squaw and a child, that lay unburied and almost wholly devoured by the ravens and the wolves. We pulled up the Indian fort and threw the palisades, one on the other, in sundry heaps and set them on fire, together with the wigwams around the fort, and thus the fort and houses were destroyed and burnt. About 10 o’clock we marched thence down along the creek where lay divers maize plantations, which we also destroyed and cast the maize into the creek. Several large wigwams also stood there, which we burnt. Having destroyed everything we returned to Wiltwyck, reaching there in the evening of the next day. About noon of Sunday, October 7th, a girl was brought up from the Redoubt [Rondout], who, the day before, had arrived on the opposite bank at that place, and was immediately conveyed across the stream. The girl said she had escaped from an Indian who had taken her prisoner, and who resided in the mountain on the other side of the creek about three miles from Wiltwyck, where he had a hut, and a small patch of corn which he had pulled, and had been there about three weeks to remove the corn. She had tried to escape before, but could not find her way out of the woods, and was forced to return to the hut. Forty men were at once sent out to try and catch the Indian. They reached the hut before sunset, which they surrounded with the intention of surprising the savage, but the hut was found to be empty. They found a lot of corn near the hut, and another lot at the kill, part of which they burned, and a part they brought back with them. They remained in the hut during the night and watched there. On the 10th of that month, Louis Du Bois, the Walloon, went to fetch his oxen which had gone back of Juriaen Westphaelen’s land. As he was about to drive home the oxen, three Indians, who lay in the bush with the intention of taking him prisoner, leaped forth. One of the savages shot at him with an arrow, slightly wounding him, whereupon Louis struck the Indian a heavy blow on the breast with a piece of palisade, and so escaped through the kill, and brought the news to the fort. Two detachments were instantly dispatched to attack them, but they had taken to flight and retreated into the woods. The Indians were finally cowed. Their principal warriors had been slain, their fort and wigwams burned, and their food and peltries destroyed. A long hard winter was before them, and the ruthless white soldiers ready to swoop down upon them at any moment. Under these circumstances the Delawares sued for peace, and the truce was observed for a period of about ninety years, or until the breaking out of the French and Indian war. When Capt. Kregier marched against the new fort his forces probably crossed the Shawangunk kill at Tuthilltown, and keeping along the high ground came in rear of the fort. A portion of the command marched down the hill directly on the fort, while the other detachment cut off their escape in the other direction. This fort stood on the brow of a hill overhanging the creek; in the side of this hill there is a living spring with the Indian path still leading to it. The old Wawarsing trail led from this fort, crossing the Shawangunk mountain near Sam’s Point. After the second war, the Dutch settlers remained suspicious of all Indians with whom they came into contact. Reports made to the Dutch government in New Amsterdam cited misgivings about the intentions of the Wappingers and even the Mohawks, who had helped the Dutch defeat the Esopus. Dutch prisoners taken captive by natives in the Second Esopus War were transported through regions no white man had yet seen. Upon their release, they described the land to the Dutch authorities, who set out to survey it. Some of this land was later sold to French Huguenot refugees, who established the village of New Paltz. In September 1664, the Dutch ceded New Netherland to the English. They were said to take a more patient and fair stance toward the natives. The boundaries of Indian territory were carefully established, the land taken for the Crown was paid for, and the remainder of the Native American land could no longer be taken without full payment and mutual agreement. The new treaty established safe passage for natives for trading, declared “that all past Injuryes are buryed and forgotten on both sides,” promised equal punishment (execution) for settlers and Indians found guilty of murder, and paid traditional respects to the sachems and their people. 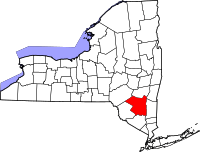 Over the course of the next two decades, Esopus lands were bought up and the natives were peacefully but inexorably driven out, eventually taking refuge with the Mohawks north of the Shawangunk mountains. This entry was posted in History, Storied, Violent Death and tagged Kingston. Bookmark the permalink. I certainly enjoyed reading your article on the Esopus Wars. My ancestors, Cornelius Barentsen Slecht,, Roelof Swartwout, Hendrick Jochemsen were unfortunately living in those villages involved. Also, Abraham Hasbrouck and his father-in-law Christian Deyo benefited from the take over of the land when they became the Patentees of New Paltz. Thank you for a well done description of the essence of the Esopus Wars. Thank you for the story. I remember seeing the name Slecht when I read the history of Kingston.